Valeria Escobar, a high school senior at Uplift Summit International Prep in Arlington—and a pioneer in the National Hispanic Institute’s burgeoning Fort Worth program—is headed to Columbia University in the fall, supported by a scholarship and ready to pursue an intriguing slate of studies. 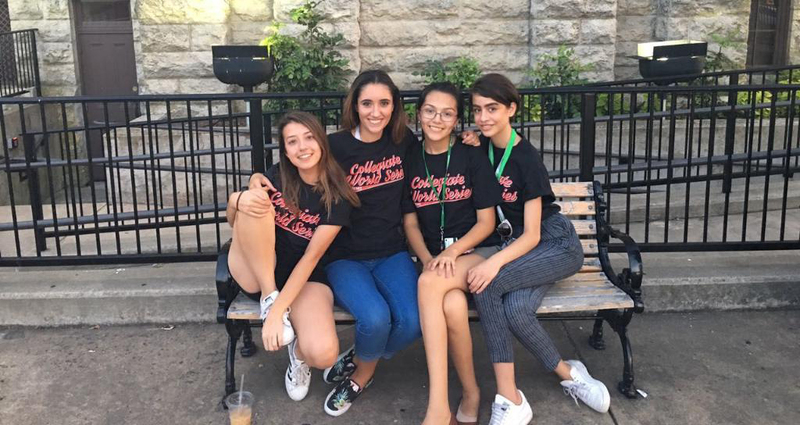 Escobar took that leadership directly into the Great Debate, volunteering to be the first coach for the newly-created Fort Worth region that sent a team to the 2016 Texas Ambassador Great Debate at the University of Texas at Austin, and then to the 2017 Texas Great Debate. While helping Fort Worth transition into its own region, she continued on her own personal NHI journey, serving on the Supreme Court at the 2016 Colorado LDZ and completing the NHI triad of core high school programs at the 2017 Texas CWS. Escobar plans a double major in Women & Gender Studies and Creative Writing, with an eye toward a career in journalism. Though her NHI experiences helped prepare her for Columbia, she sees it having a much more holistic effect on her life.